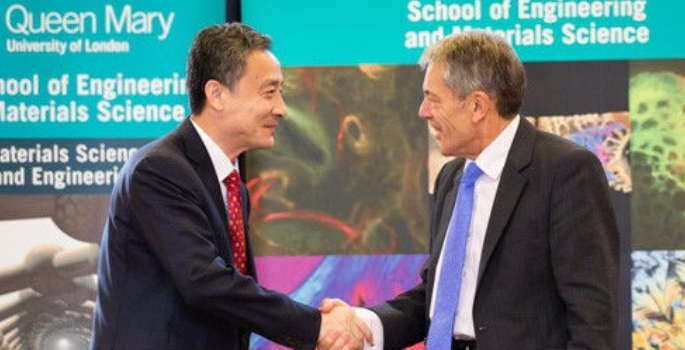 Queen Mary University of London (QMUL) and the Northwestern Polytechnical University (NPU), one of China’s top universities, have launched a Joint Educational Institute (JEI) to create a broad partnership in providing transnational university education in the field of Engineering Materials. The JEI, which has been approved by China’s Ministry of Education, includes both undergraduate teaching and the development of a Joint Research Centre to foster research collaboration. The institute will be based at the NPU campuses in Xi’an, in China’s Shaanxi province. It will provide degree programmes in the Materials Sciences, taught in English jointly by NPU staff and QMUL staff from the London campus. Successful students of the institute will be awarded a degree from each of the two universities. The JEI will in the first instance recruit students to two undergraduate programmes, BEng Polymer Materials Science and Engineering as well as BEng Materials Science and Engineering, from September 2017.